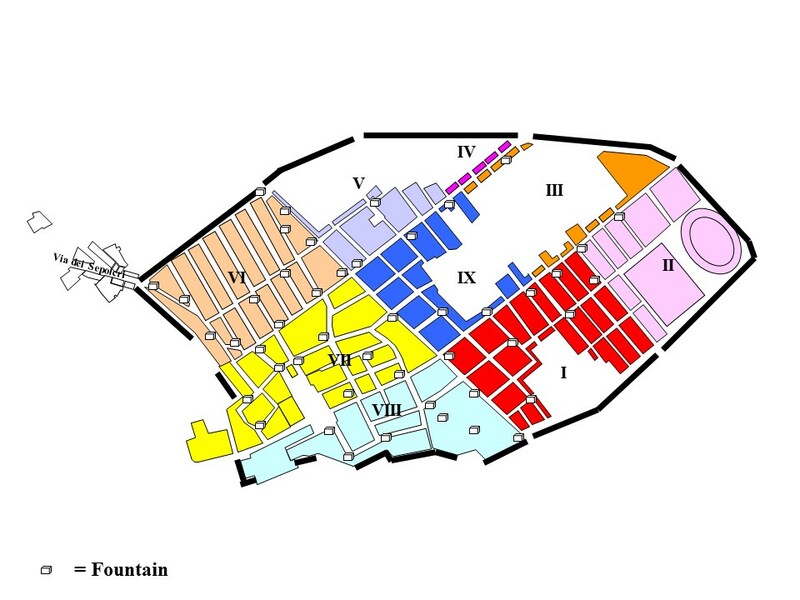 Pompeiiinpictures plan showing the locations of fountains. Each fountain has a specific page on our site with information and photographs. If your screen is large enough (more than 853px wide) press the fountain you want on the plan to see the pictures. See Wilke D. Schram's site www.romanaqueducts.info for the remains of the aqueduct and water supply system of Pompeii and its distibution layout.